The headline is a truncated quotation from the Indian independence movement leader Mahatma Gandhi. 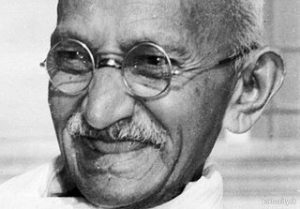 Fighting against British rule, Gandhi’s use of non-violent civil disobedience perplexed the British establishment and led India to independence. He also provided inspiration for movements for civil rights and freedom across the world. The full quotation is “First they ignore you, then they laugh at you, then they fight you, then you win”. Those of you with long memories will know that the words “open source” and Salesforce or “open source” and Dynamics never appeared in the same articles, never mind the same sentence until very recently. Up to the last few years, the major vendors have been unconcerned about open source. They haven’t seen it as a threat and hadn’t positioned their marketing, sales or business strategies to address open source applications. They believed that pure open source was not a viable business model. They had seen off emerging threats from open source vendors such as SugarCRM who imploded in a cloud of hubris. When SuiteCRM started to appear on the same bid lists for large enterprise deployments, the major vendors were perplexed. Their salespeople didn’t have a strategy to deal with with this new threat to their hegemony. Their general response was one of arrogance and belittlement. The very strengths of open source, such as openness, security, code quality, hugely reduced implementation and maintenance costs and community were used as weapons. “If it’s free it can’t be any good” was a phrase we heard more than once. By so doing, the vendors demonstrated their ignorance of the threat facing them. Failing to understand an emerging threat has been the downfall of many technology companies over the years. Nokia is probably the most notable example of ignoring open source competition. They don’t laugh any more. Salesforce in particular understands the threat to their business from open source. They continue to lose to SuiteCRM. Belittling SuiteCRM no longer works. It’s a serious competitor with a compelling USP. At core, CRM is about modelling business processes. It’s a world where differentiation is hard to achieve. Despite hype cycles such as big data, internet of things, social CRM and artificial intelligence, in the last ten years, enterprise-class free and open source software is the single biggest differentiator to emerge in the CRM world. The major vendors now have battlecards for SuiteCRM. They now have a marketing strategies and associated collateral including press releases that mention open source and openness.Where once open source was never mentioned now it is frequently referenced in the context of open source tools that work with their proprietary codebase and the openness of having an API. Suddenly everybody wants to be associated with open source. We’ve seen it in the infrastructure stack. There’s an endgame and it’s about the compelling nature of open source. Open source has won the infrastructure battle hands down. It’s game over. The battle is just starting to heat up in the application stack. But we already know who is going to win.